I felt this wasn't worth asking in a new thread of its own, but if you file a dispute and it is rejected, are there any consequences? As far as I understand it, you just go back to where you were before filing the dispute, with the option to accept the punishment that's already been handed down (blocking or monetization) or moving on to appeal which if lost results in a strike. 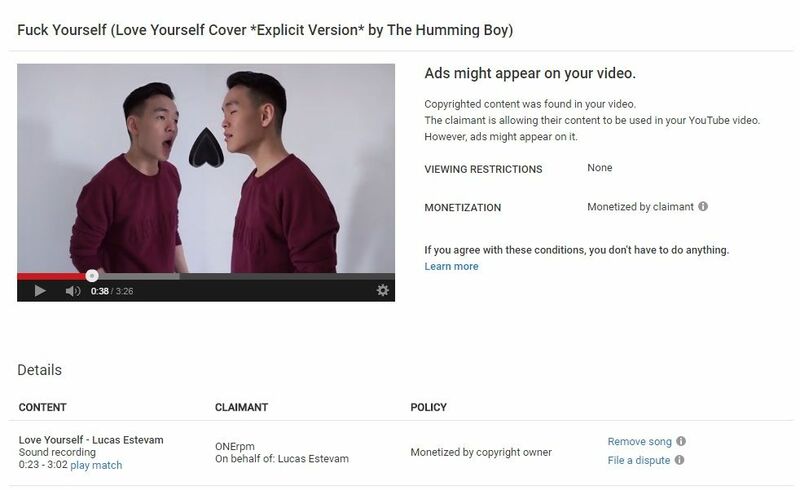 As far as I know, the copyright owner can give you a punishment (such as a copyright strike) for appealing the claim. This actually happened to me rather recently, I uploaded the first episode of a game called Darthy and ended up getting a copyright claim by PhoneArena, a channel that has nothing to do with games and only reviews cell phones. Lucky I appealed and won, getting the claim removed, so never be afraid to make a rebuttal against those. 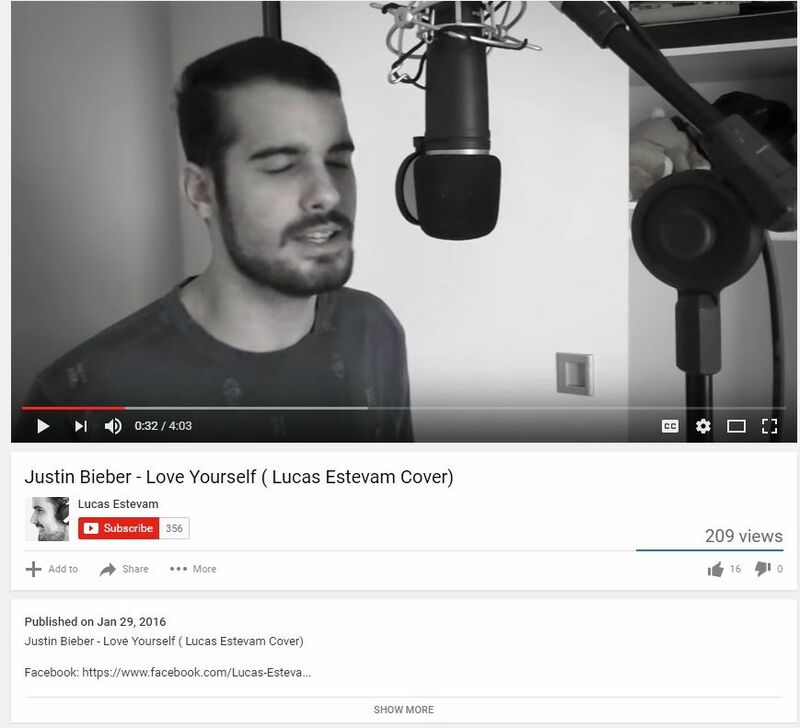 I made a cover on the song "Love Yourself" by Justin Bieber in Feb 2016. However just yesterday a company named ONErpm decided to claim copyright of "sound recording" on behalf of a person known as Lucas Estevam. When I press "play match" it only sounded like my own recording. I've watched the cover of the same song by the aforementioned person but could not observe any matching there. Now any revenue on my video will be directed to this claimant (ONErpm, a company associated with YouTube), who did not even create this song. My question is, how should I go about this? I've created a new thread for this issue, hope I'm not posting in the wrong place. 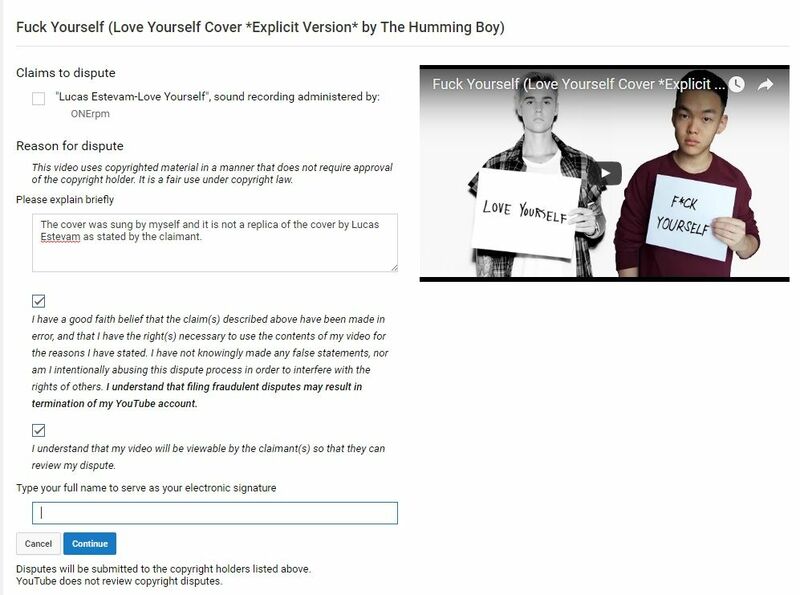 Covers are not protected under fair use, so while they may not be entitled to the revenue, neither are you. I haven't watched your version, but this kind of thing usually happens because people use the same backing track. If it's the same backing track that it triggering the match, then the question becomes, who owns the backing track and is it an exclusive license. So you can try to dispute it if you want, just be aware that you're arguing that you have the rights to something that you do not.